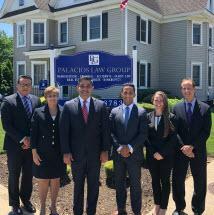 Offering exceptional representation for virtually any legal issues affecting your life, your family and your future, the attorneys at the Palacios Law Group are here to help you find solutions for your legal challenges efficiently and effectively. Our law firm's attorneys possess decades of combined legal experience and diverse backgrounds that make us well-suited to handle the demands of your case regardless its complexity. We remain up to date on the recent changes in the law in order to provide the most relevant advice and personalized support possible, and we utilize the latest in legal technology to more efficiently manage our cases and deliver timely updates to our clients as to the status of their cases. All of this has helped establish our reputation as one of Long Island's leading practices, and our law firm receives many positive reviews and referrals from satisfied clients. To find out more about how the Palacios Law Group can best serve your needs, you can contact our law office to schedule a free initial consultation.